Yesterday Simon got his teeth done. Now his mouth is nice and square and at maximum chewing capacity. It will also keep him happier with a bit in his mouth. My vet is also an equine dentist and I am really lucky to be one of his clients. He does a great job and is always very kind with my ponies. He is also very practical and honest which I appreciate. 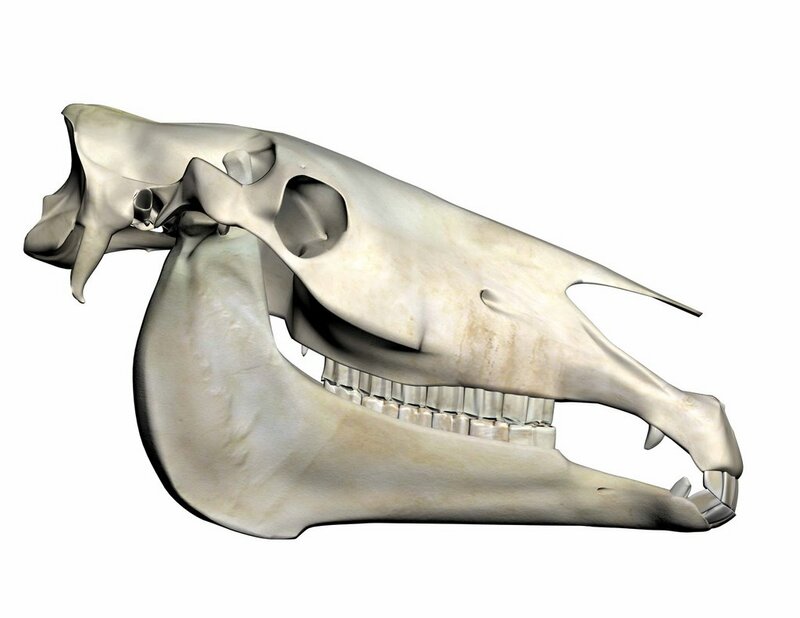 For those who are unaware, here is a very brief overview of horse teeth: Horses have front teeth, which are up in the lip area. There is a open area of no teeth, called the bar, behind the front teeth. 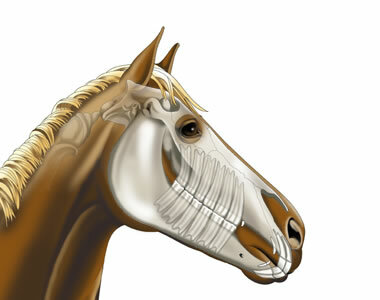 Horses also have back teeth, way back in their heads behind the bar. And get this, horse teeth grow. Strange right? As the horse eats, they grind down their teeth. 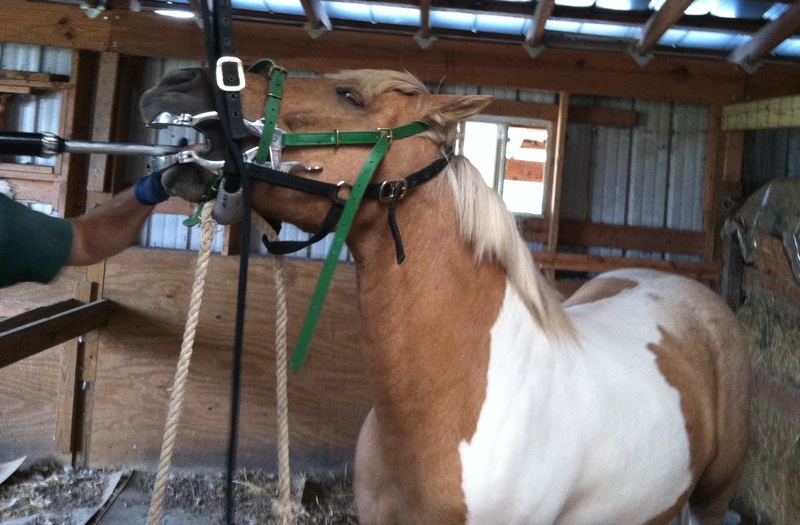 No horse chews perfectly and over time the teeth will become uneven and get sharp edges that can make chewing (and eventually having a bridle and bit on for riding) less than comfortable. 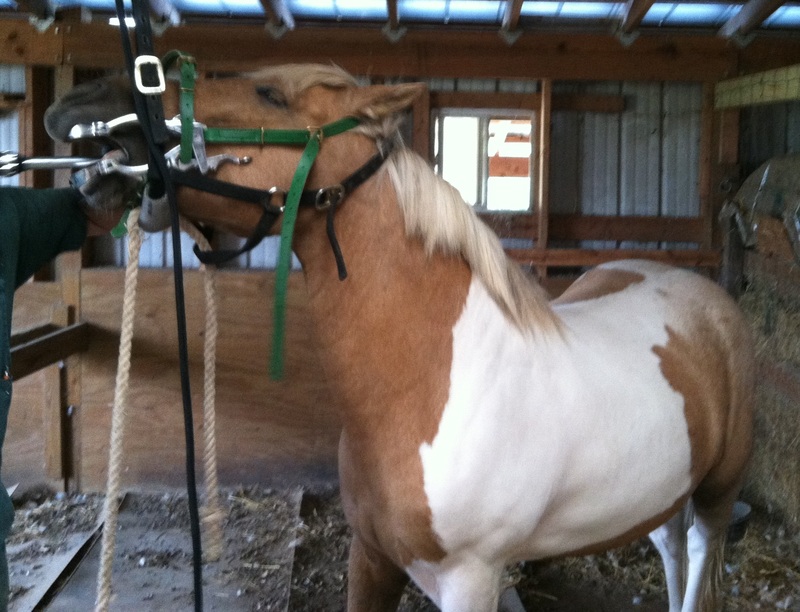 It will also make their chewing not as effective, so that the horse gets less food solidly chewed and swallowed. So to keep the teeth nice and square and smooth an equine vet or dentist will “float” aka, file them on occasion. Some people get their horse’s teeth done routinely every year. Some people get them done every few years as needed. Some dentists use an older method of hand filing the teeth, which is a lot of hard work. And some dentists use a power tool, which is still hard work, but not to the same extent. It looks a lot like a drill with a really really long bit on it with a file on the end. My equine dentist uses a power file. Its pretty neat to watch and doesn’t take long at all. Will I still have a Husband, a Pony and a Ferrier in The End?